Golfing in the Smoky Mountains of Western North Carolina is something special. 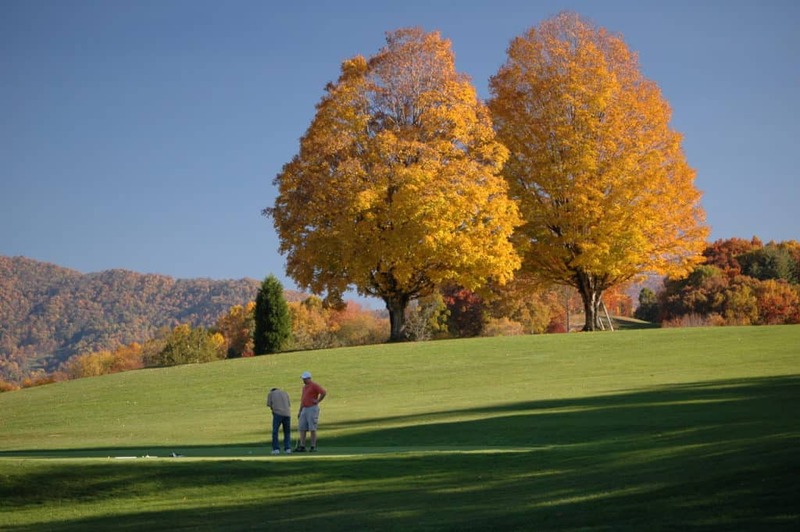 The five towns of Haywood County have plenty of different courses that offer the relaxing game you’re looking for, plus stunning scenery that surrounds you on all sides. Spring is the perfect time to golf in Haywood, too: it provides a warm escape to our friends further north and offers cool and comfortable temps for closer neighbors in the south. 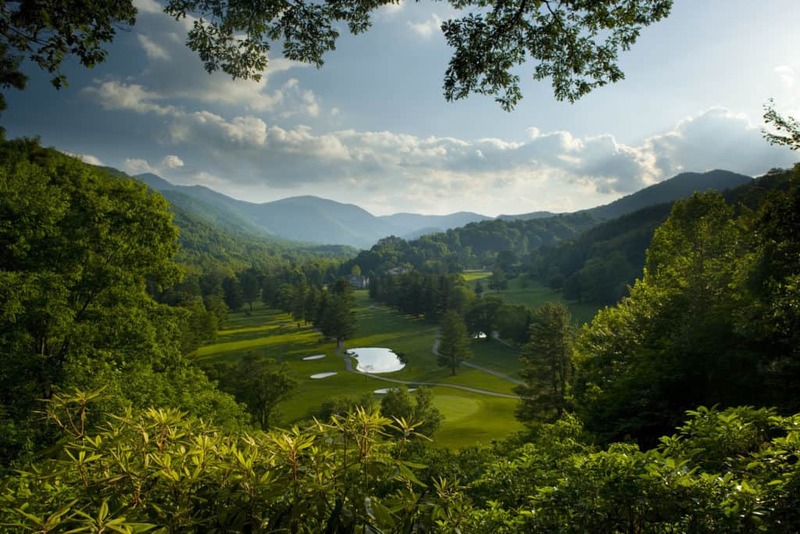 We’ve rounded up a list of all of our county’s Smoky Mountain golf courses here. Find the one that suits your game the best—or try them all and decide for yourself! This is a leisurely—yet still exciting—par 68 surrounded by beautiful mountain views. On this course, you’ll encounter a handful of blind shots, but that just adds to the fun, right? Green fees are incredibly affordable and start at $9 for 9 holes. 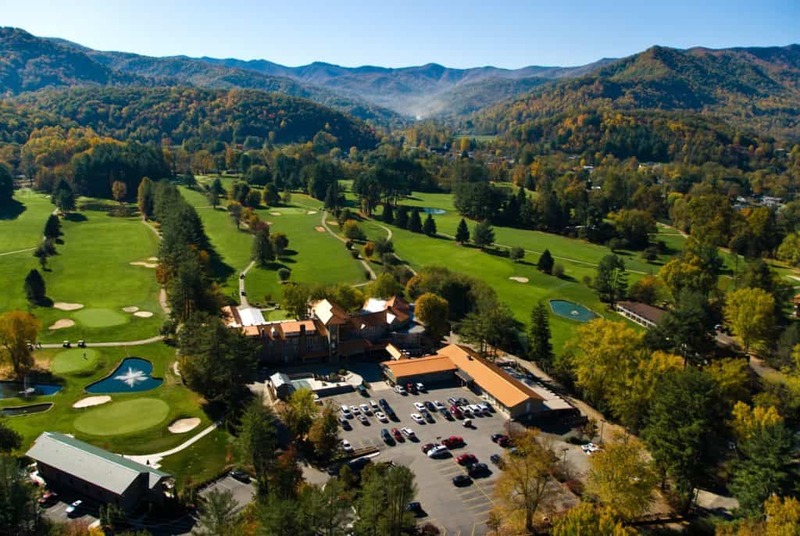 There are also plenty of packages available for those looking for a longer golf getaway, most of which include a stay at The Terrace on Lake Junaluska. This newly-renovated space is one of the most gorgeous hotels in the county and overlooks beautiful Lake Junaluska. It’s located near the middle of the county, so all of our local attractions and restaurants are only a short distance away! 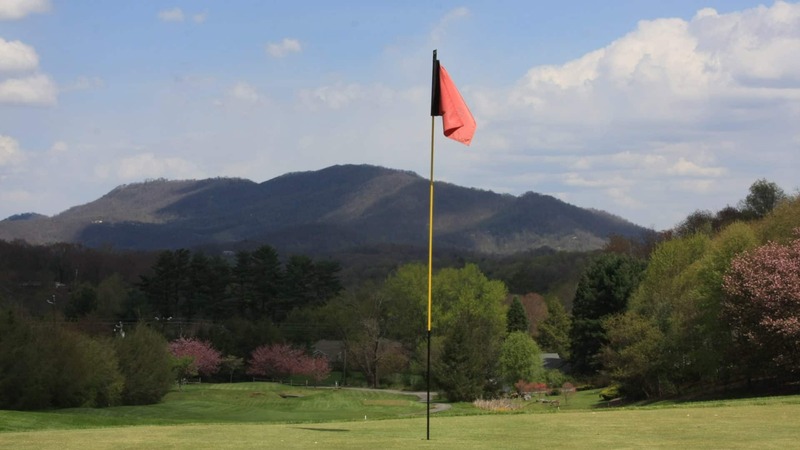 Built in 1986, Laurel Ridge provides one of the most challenging courses in the region, yet still maintains a balance of fairness and playability on every hole. The landscaping and gardening around the course are stunning, and the panoramic views are awe-inspiring. Dining at Laurel Ridge is truly an experience: the award-winning culinary team serves regularly-scheduled lunches and dinners in the dining room’s rustic clubhouse, which features stunning post-and-beam architecture and views overlooking the course. This is a really popular spot for weddings, too. Divided into the “Valley Nine” and the “Mountain Nine,” this course will warm you up on the front 9 before giving you an 800-foot rise in elevation with increased difficulty on the back 9. The best part: there’s no escaping those Maggie Valley views anywhere on the course! 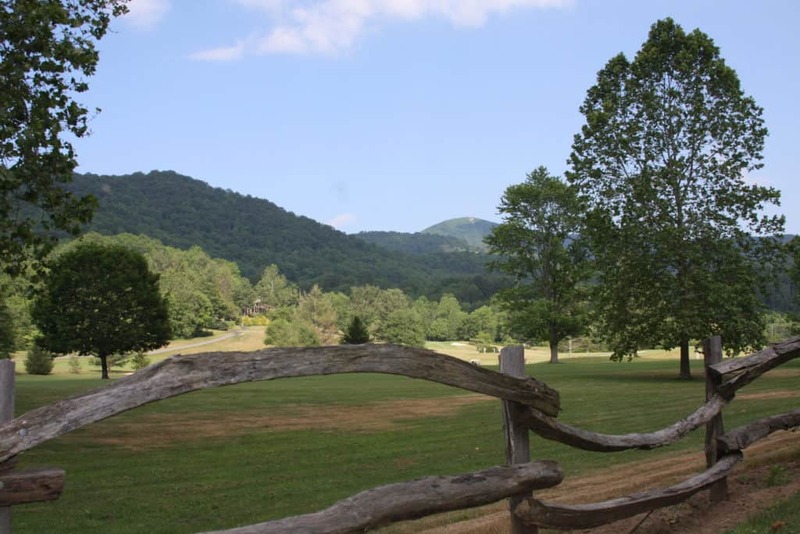 Packages here include a stay in one of their upscale condominiums, plus tickets to area attractions like the Biltmore House, Cataloochee Ranch, and Wheels Through Time Museum. Their Pin High Bar & Grille offers the delicious dishes you expect from a country club, but with a casual and relaxing atmosphere that will make you feel right at home. The Waynesville Inn recently received a deserving 4-star rating from Golf Digest. 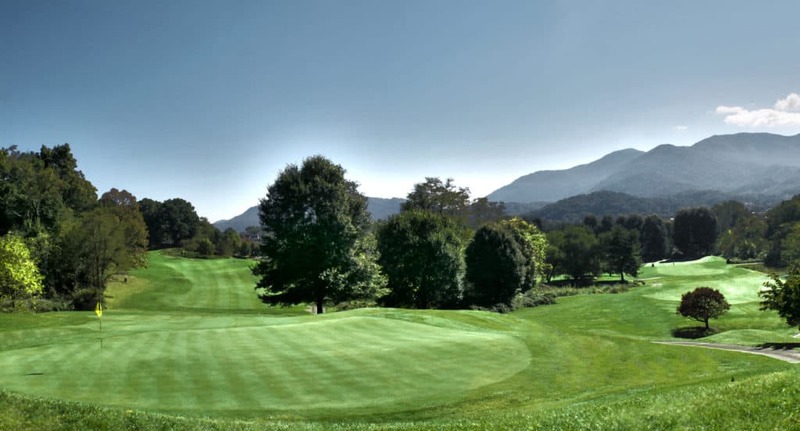 Here, you’ll find 3 award-winning 9-hole courses in the heart of the Smokies—check them out to prepare yourself for the challenge that awaits you! Their original 9-hole layout, the Carolina, was designed by famed Scottish architect Donald Ross and lies on the pastures of an existing dairy farm. Don’t let that get your hopes up: this course isn’t a cake walk! Dining options at the Waynesville Inn include upscale eatery Cork & Cleaver, and the more casual Tap Room, which offers spectacular fare along with some of the best drinks in town. Sounds like a blast, right? Don’t wait to plan a stay here—their Spring Package includes a three-night stay at the resort with unlimited greens fees for four days. Looking for other ways to fill your days in Haywood County? Find more fun things to do this Spring and check out our previous blogs. Downloading a new 2019 Visitor’s Guide is a great place to start, too.